At Rapat Corporation, our only business is moving bulk products. 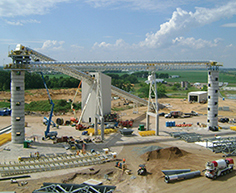 We design each conveyor to meet the specific needs of the application. We don’t force off-the- shelf products into unique applications. It is this desire to make each component fit into each situation that translates to a high quality finished product.